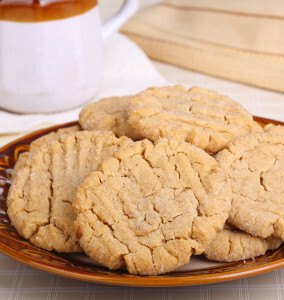 These peanut butter cookies are low fat, but you would never guess it with their rich flavor. Thanks to a hearty helping of chunky peanut butter, these cookies also garner extra protein, fiber, and healthy fats. MIX the flour, confectioners’ sugar, cornstarch, baking powder, baking soda, and salt in a medium bowl. 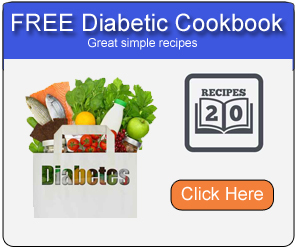 COMBINE the brown sugar, peanut butter, and oil in a large bowl. Using an electric mixer on medium speed, beat until well-combined. Beat in the egg and vanilla. Stir in the flour mixture (the dough will be crumbly). FORM the dough into 1″ balls and place on the prepared baking sheets, leaving 2″ between balls. Flatten the balls with the bottom of a glass.